Girraween National Park has long been one of my favourite bushwalking haunts. Its springtime wildflower displays, rugged granite landscapes and frosty climes make for superb walking adventures. Nestled in the western section of the park, abutting the QLD-NSW border is what I consider the best of Girraween: spectacular granite domes rising to over 1200 metres, extensive swamps, creeks cascading down smooth rock slabs, wildflowers in profusion, and always the possibility of sighting a Superb Lyrebird, or perhaps a solitary dingo, or maybe, just on dusk, a wombat trundling across creek flats. 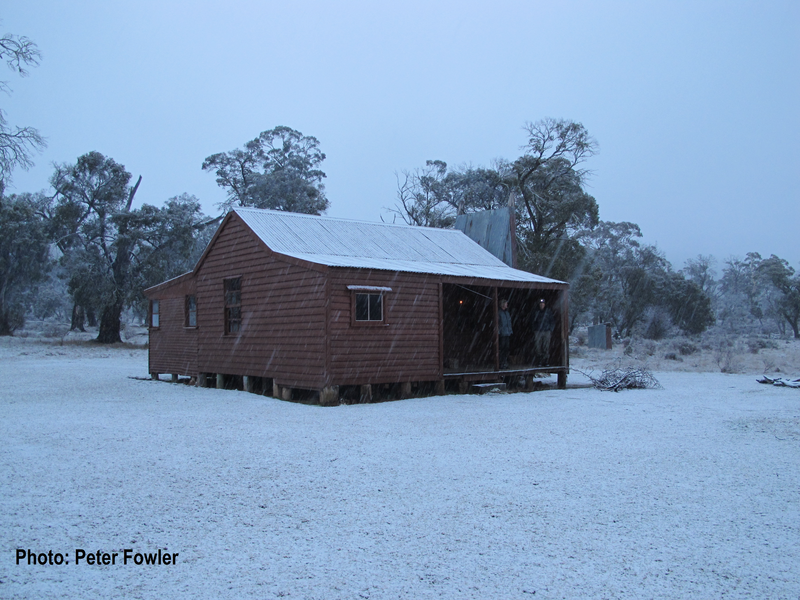 The name Girraween, “place of flowers” dates back to the 1960’s when a public naming competition was held for the enlarged national park (11,800 hectares). A prize of $50.00 was offered and the winning name was “Girraween”. Disappointingly, it is not a word in a local aboriginal dialect, even though a number of aboriginal groups appear to have lived in and travelled through the area: the Kambuwal, Jakamabal, Kwiambal, Ngarabal and the Gidabal. The Stanthorpe district was thought to have been on a significant trade route from the western plains to the east coast, and on a north-south pathway to the Bunya festivals in South East Queensland. The Park info centre displays a few aboriginal artefacts collected locally including axe heads, grinding stones and even a stone implement that had been bartered from remote Papua New Guinea. 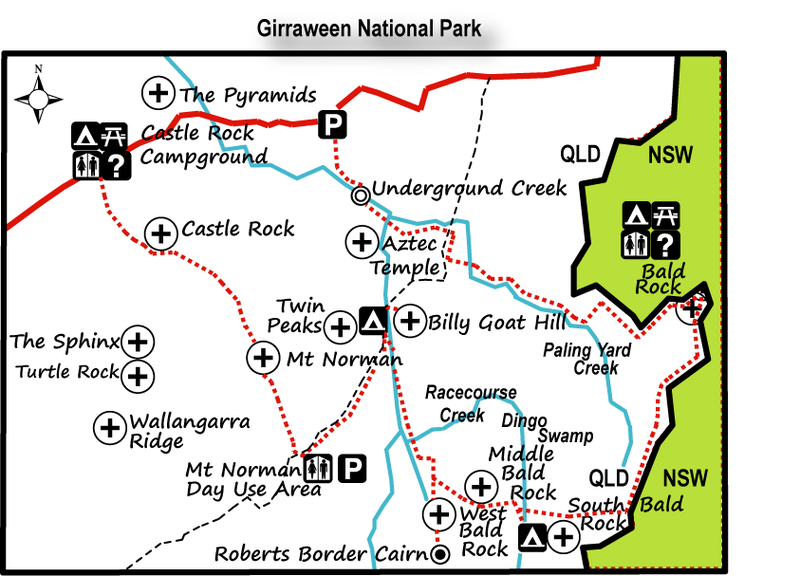 Thankfully, several place names in Girraween are aboriginal in origin and some are retained on maps: Bookookoorara Creek, for example, is said to refer to the noise made by a possum and the original name for The Pyramids was Terrawambella, changed, regrettably, to the more prosaic The Domes in 1902, and finally The Pyramids in 1920. Sunday: Castle Rock Campground to Racecourse Creek: 11 kms. And so, on a warmish Sunday afternoon at the tail end of September, six walkers, Sam Rowe, Peter Fowler, Brian Manuel, Eva Zacher-Maj, Joe Kirkpatrick, and their worthy leader, yours truly, set off on the first leg of their 58 kilometre walk through the backblocks of Girraween National Park. Today’s 11 kilometres would take us to our overnight campsite on Racecourse Creek; but not before stashing supplies for a final night BBQ bacchanal at Castle Rock Campground. Several of my walking companions, who should know better, were foxed by the early start to spring and had strategically downsized to lighter sleeping bags and coats. Meanwhile, Peter and I ditched our rain gear, gambling on the Bureau of Meterology’s promised forecast of fine weather until week’s end. The easy part of the afternoon was walking the tourist track to Mt Norman. 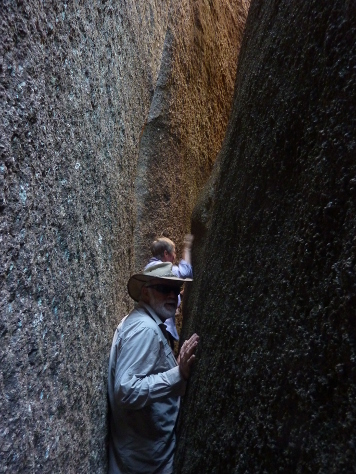 But once on the flanks of the mountain I imprudently let Peter convince me that crawling through a 50 centimetre wide crack between massive vertical sheets of granite would be a cool bushwalking thing to do. Speleologists would call it ‘a squeeze’. For the svelte Sam, trim Eva and even the lean and hungry Peter, this was no drama. But for the three somewhat pudged-up and ageing track dogs, getting irretrievably wedged was a distinct possibility. Predictably my size 12 Rossi boots got stuck. Comrade Rowe’s suggestion that I should re-arrange my feet ballerina style was a stretched tendon too far. But all in all, it was, as Peter predicted, great fun. Life in the Fowler fast lane careered on. 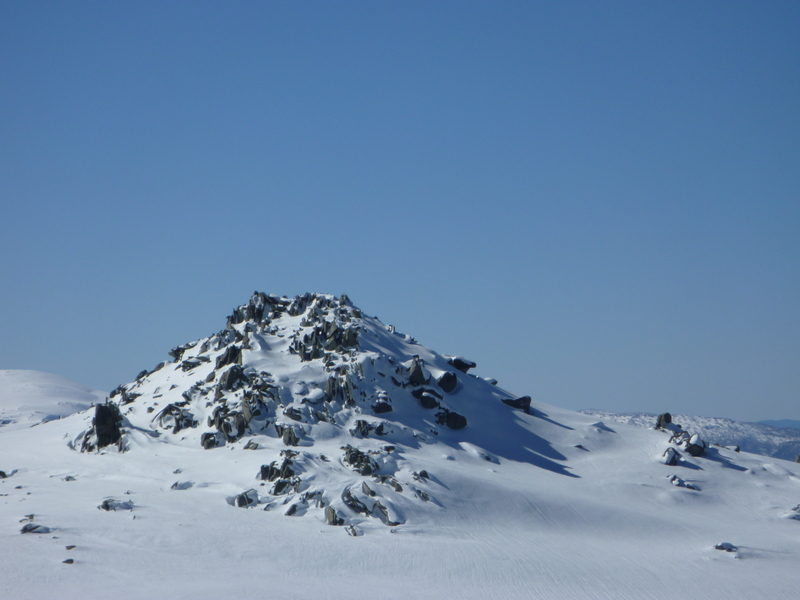 Peter, Brian and Sam took leave from their more cautious companions and shimmied up a rock slab, teetered along a dodgy looking ledge, hauled up on a sapling and then disappeared from view, heading for Mt Norman’s summit (1267 m). Some half hour later three bottoms appeared and my friends gingerly lowered themselves one by one onto said ledge. To my considerable relief. As the sun dipped low to the western horizon we beetled off to find an overnight campsite. On dusk, the sun gone, and the temperature plummeting, we settled into a bush camp on Racecourse Creek where it flows between Twin Peaks and Billy Goat Hill. To my knowledge the only billy goats around were the two-legged variety, minus their down jackets and minus warm sleeping bags. Monday: Racecourse Ck Camp To South Bald Rock via West Bald Rock: 14.2 kms. 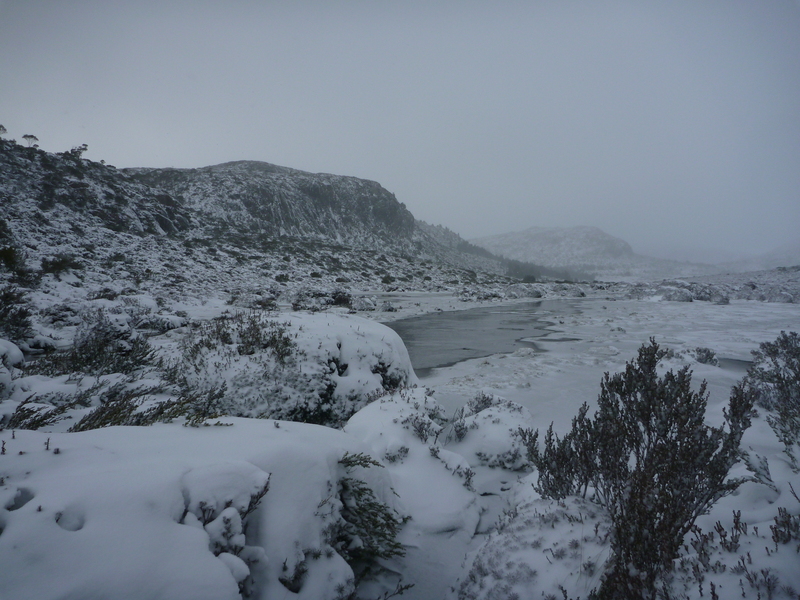 After an early morning jaunt up Billy Goat Hill (1118 m) to defrost (1°C), we shouldered our 15 kilogram monkeys and headed south, following Racecourse Creek upstream towards the Roberts Range and the QLD-NSW border. This was gaiter central. We puddled along, winding in and out of creek-side thickets and ducking to and fro across the swamp’s edge. Slow progress this. But like all decisive leaders, I had “a” solution. Brian “The Bulldozer” Manuel was recalled to a temporary leadership role and pressed into service at the front, pushing his way through the dense whipstick re-growth. This is precisely why we keep Brian on the payroll. Strangely, no-one challenged him for pole position. So, with his conga line of five walkers now in tow, Brian led us up Racecourse Creek, executed a hard left hand turn out of the boulder and thicket -choked creek bed and finally stepped out onto the West Bald Rock fire trail. Not before Eva’s leg tangled with a deep bog-hole in the swamp. But, as I discovered, Eva is a walker of considerable tenacity and she strode on, without complaint, for the remaining 47 kilometres nursing a bruised shin and a wonky knee. A pre-lunch climb led us to the summit of West Bald Rock (1210 m), rewarding us with hazy views across to our destination for today (South Bald Rock) and on the morrow (Bald Rock in NSW). And then the highlight of the whole trip. 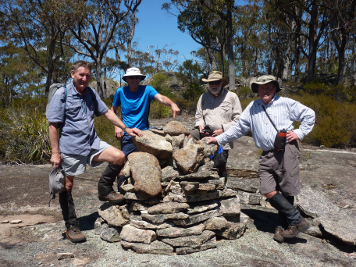 Brian and I wanted to re-locate a nearby border cairn which, it is claimed, had been erected by Surveyor Roberts in the 1860’s during his survey to fix the QLD-NSW border. Brian had stumbled on it years ago and he and I were keen to find it again, although I had suspicions about the commitment of our fellow amateur historians to this venture. Despite the warm conditions we padded off across sheets of granite and through belts of scrub, heading about one kilometre to the south. 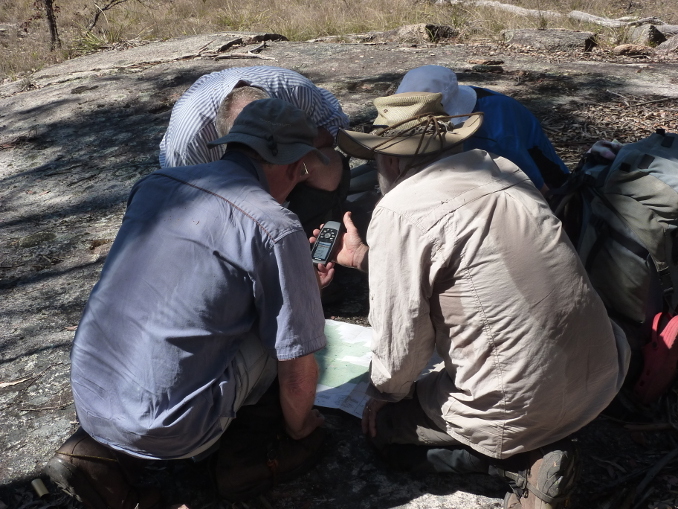 With a bit of fancy bush navigation and some black magic from Joe and his GPS we found a fully intact survey cairn (Roberts No 1375), just where Brian predicted. Bill Kitson and Judith McKay’s tome Surveying Queensland 1839-1945 has an excellent chapter on Queensland border surveys as well as a photo of the cairn. An afternoon of relaxed pootling along slashed fire trails past Middle Bald Rock delivered us to our campsite under the towering slabs of South Bald Rock. 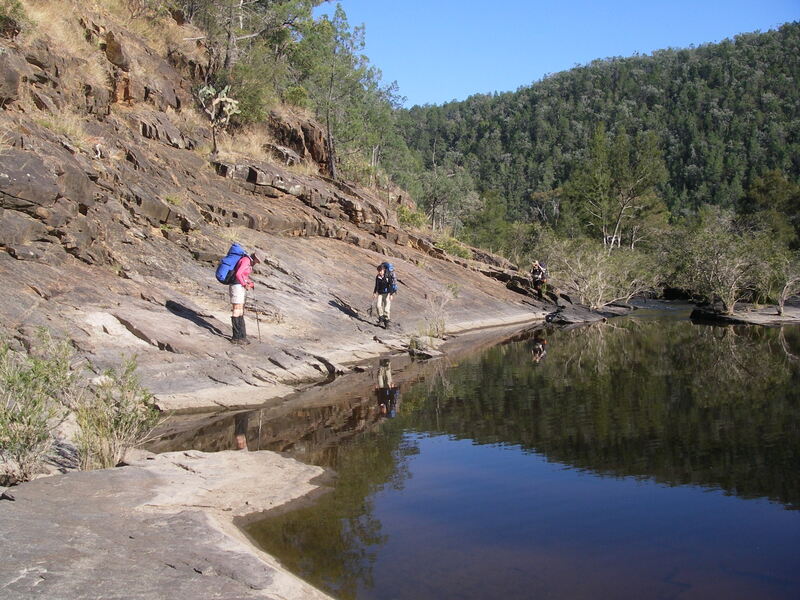 This is an outstanding bush campsite: ample shade, flat tent pads and clear running water in nearby Dingo Swamp. No dingoes, neither seen nor heard .But what was this… horror of all horrors… a campfires prohibited sign. How will Brian, Peter and Joe possibly survive? Fuel stove only tonight. As the light faded Sam pointed out that the bright stars hanging in the western sky were, in fact, planets. The brightest, Venus, then Saturn and hanging low to the horizon Mercury. Near Mercury was a star, Spica. On matters of astronomical trivia, on another late September eve in 1990, the Japanese astronomer Mr Tsutomu Seki of Comet Ikeya- Seki fame, discovered a new 4.7 kilometre diameter main-belt rocky asteroid. 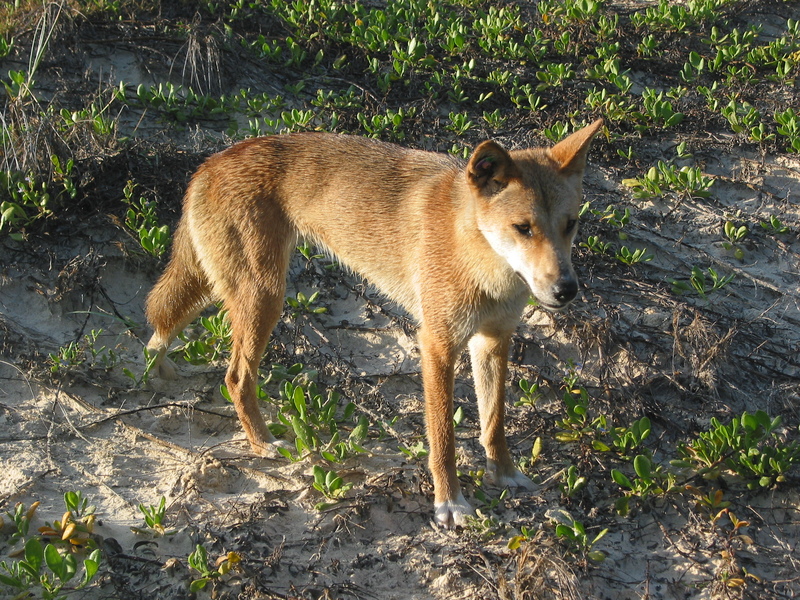 Naming rights were given to his friend and colleague in Australia, one Mr Kato who lived near Stanthorpe. Thus we have asteroid 15723 Girraween, named for Girraween National Park. A more detailed account of asteroid Girraween can be found on the excellent website: www.rymich.com/girraween/. Tuesday: South Bald Rock To Bald Rock Campsite: 14.35 kms. Tuesday morning, warmer, a balmy 6°C, causing King Kookaburra, aka Brian, to bestir from his pea-pod yellow tent earlier than usual, soon after 4.30am according to one of my bleary-eyed informants. Conversely, a certain other party stubbornly refused to de-tent from his stately MSR pleasure dome until the more civilized hour of 6.00am. In any event we were still under way soon after 7.00am for the easy scramble up to the summit of South Bald Rock (1247 m). South Bald Rock is the classic granite landform, a huge steep-sided domed mass of hard rock, technically referred to as an inselberg. Girraween lies at the northern end of the New England Batholith, an extensive plume of molten magma that cooled slowly deep below the earth’s surface, allowing the formation of rocks with large crystals, adamellite. Good for boot traction. It is said that the Stanthorpe granites represent one of the most spectacular assemblages of granite landforms in Australia. For the geology buffs among you, an excellent and more detailed account of Girraween’s landscapes can be found in Warwick Willmott’s Rocks and Landscapes of the National Parks of Southern Queensland. After descending South Bald Rock, we rounded up our now lighter monkeys and ambled off along the shady border trail towards Bald Rock. On this particularly enjoyable morning’s ramble through the shrubby open forest Peter sighted a Lyrebird scratching around in the leaf litter. 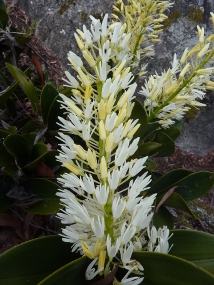 The wildflowers were a kaleidoscope of colours: the pinks of Boronias, and Kunzeas; yellow Gomphlobiums and Donkey Orchids; red and yellow pea flowers, and absolutely stunning white and yellow sprays of flowering rock orchids, the mighty kings of the orchid world, Dendrobium speciosum. 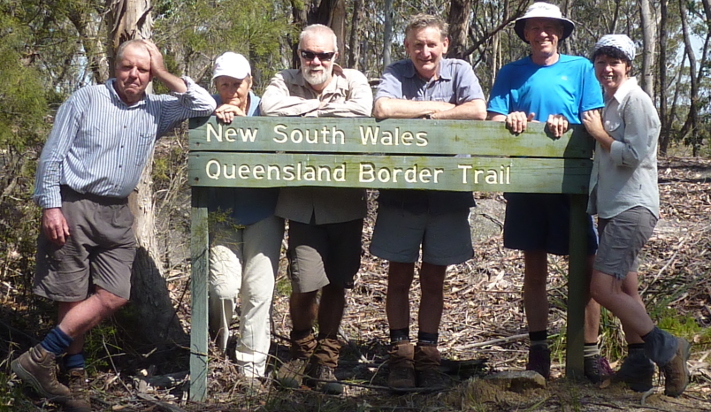 As the trail paralleled the border on occasion we played the game of stepping back and forth across the border, QLD-NSW-QLD-NSW-QLD. Bald Rock Campsite, popular in school holidays, is operated by the NSW Parks Service and offers a well appointed camping ground: a shelter shed with BBQs, toilets, picnic tables, taps, dusty rock-hard tent pads and a big red TOTAL FIRE BAN sign which had Brian, Peter and Joe crying into their beers. Three cans of which Brian had somehow fandangled from a generous Victorian camper, another AFL tragic. The main feature of the National Park is, of course, Bald Rock (1277 m), Boonoo Boonoo as it was known by local aborigines, meaning ‘big rock’. It is claimed to be the largest inselberg in Australia and also the Southern Hemisphere. We took the refurbished Bungoona Walk to the summit via the well manicured tourist track, only to be nearly blown off the top by a gusting 40 km/h westerly. Wednesday: Bald Rock Campsite to Castle Rock Campsite: 17 kms. 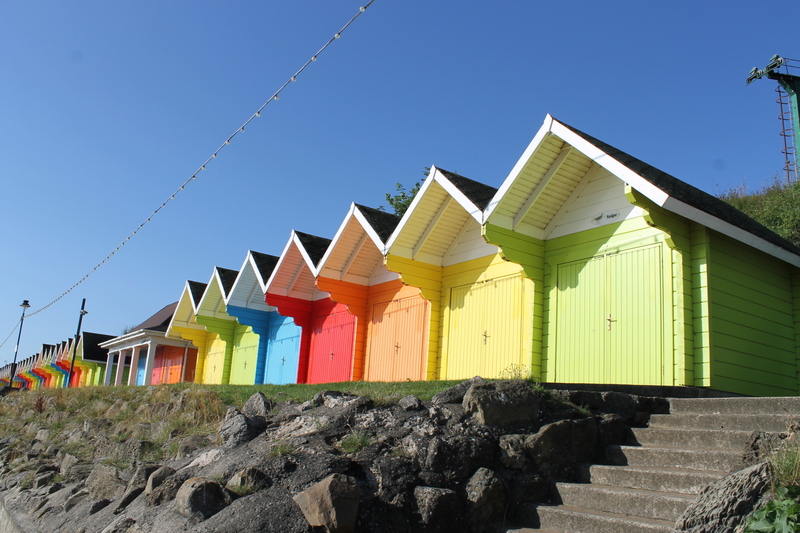 Warm weather predicted (30°C) for our 17 kilometre walk back to Castle Rock Campsite. We followed the border trail initially, and then swung off-track to follow Paling Yard Creek northwards before fetching up at the Underground Stream (Bald Rock Creek) and the start of the tourist track. The walk back was relatively easy: traversing open granite slabs, across dry swamp meadows, down Paling Yard Creek and finally connecting with the system of 4WD management trails that led to the Underground Stream. Paling Yard Creek has some beautiful reaches where it riffles over sheets of granite, and trickles gently down cascades and over small waterfalls to fill tranquil pools below. We propped on one of these for morning tea. As a finale, we could do no better than the Underground Stream. 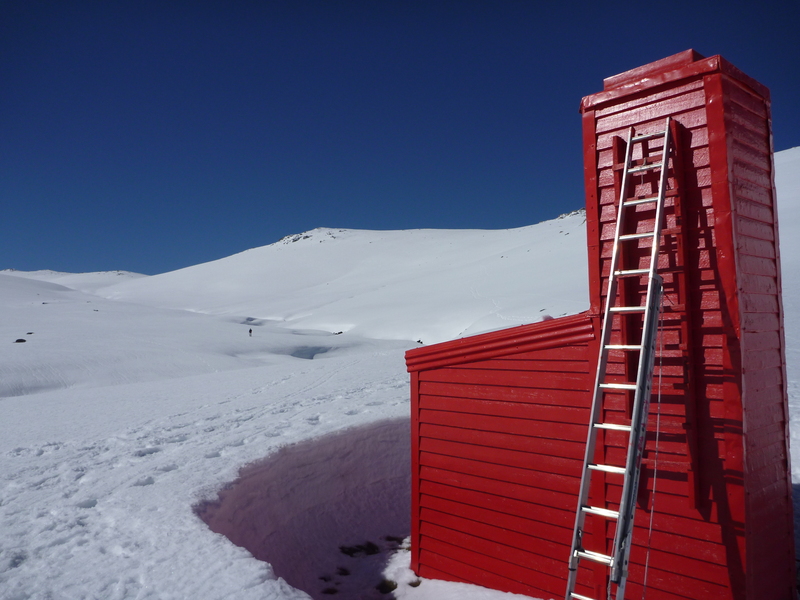 This is geologically interesting and well worth a visit. 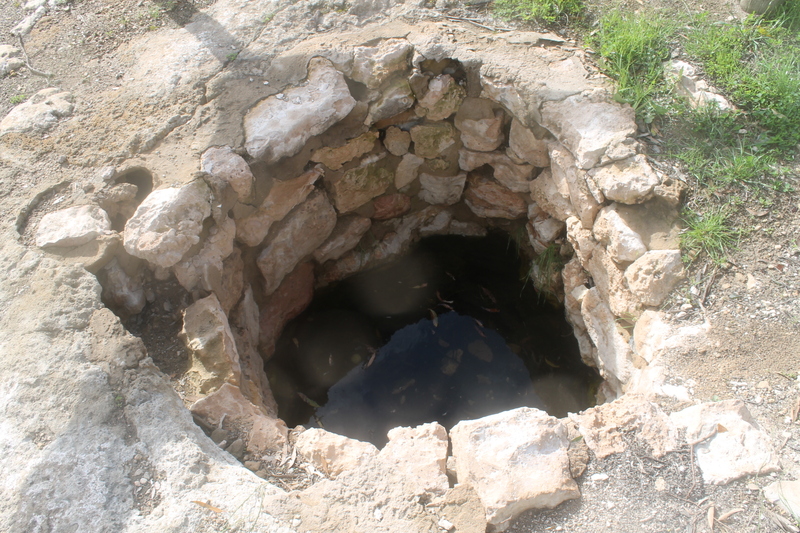 Here the creek has eroded swirling spa-like potholes deep into the granite bedrock. Below, a jumble of massive boulders has choked the creek; the water disappears from view, hence the ‘Underground Stream’. In times of low flow it is possible to climb down and through the boulders. Nearby granite slabs have been scored by dykes. 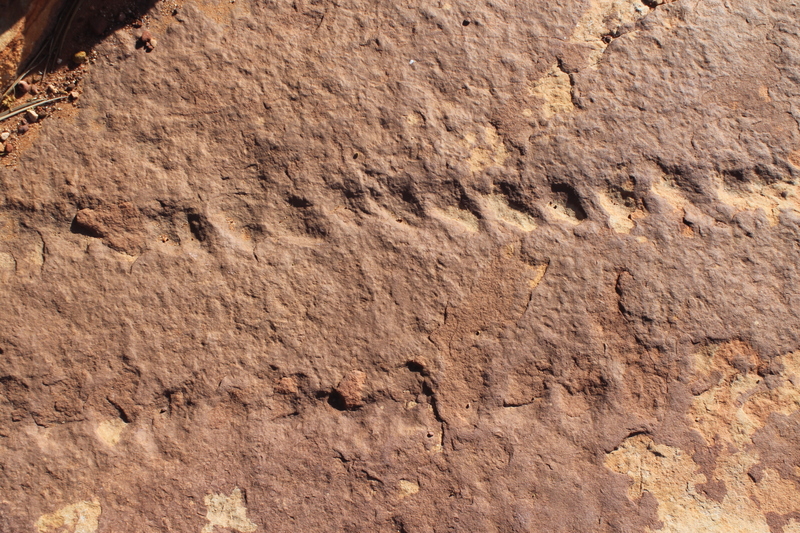 These are usually narrow linear depressions or ridges in the granite bedrock. They are the result of liquid magma being squeezed along planes of weakness in the bedrock. The magma cools very quickly to form a rock which can be either softer or harder than the contiguous bedrock. A four kilometre trudge down The Pyramids Road to the Castle Rock Campground knocked some of the gloss off our morning’s relaxed perambulations, but with a decent shower, a feed and one of Joe’s beers to slake our thirst, who could complain. Late in the afternoon, we saddled up again and headed off for the three kilometre round trip to climb The Pyramid (1080 m). Finally, for those of you who are familiar with this walk, I can report that the famous Balancing Rock is still firmly glued in situ despite Samantha’s determined efforts to unseat it.